When Walt Disney World opened in 1971, there was only 1 park - the Magic Kingdom. Entrance into the park was $3.50 for adults/$1.00 for children - and included no rides. Rides were available for different prices, based on their level of interest, from A-E tickets. Today, we consider the "E" ticket attractions to be the mountains, but as their were none on opening day (Space Mountain opened in 1975). 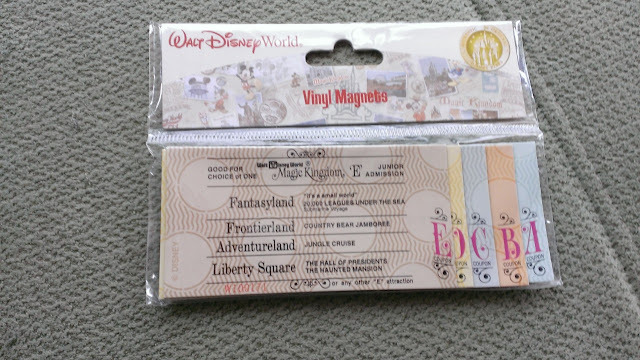 And, with this trivia, I'm giving away a set of WDW Vinyl Magnets shaped like the original park tickets! So glad we don't have to pay per ride anymore! Can you imagine? Thanks for hosting this week & for the great giveaway! Love the tickets, great giveaway! 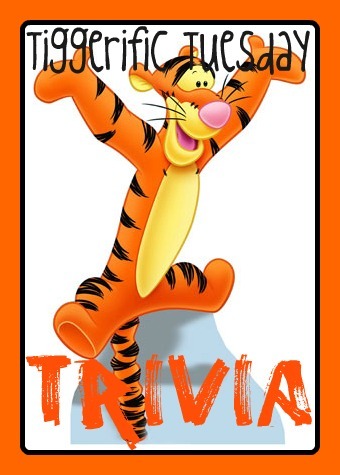 Thanks for sharing your trivia. I have a partial set of tickets from 1978 and 1979! Those magnets are really cool!